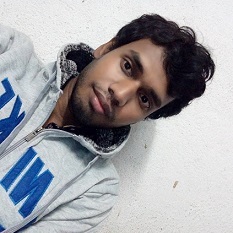 Hello, friends..! After a long day, I am going to discuss a hosting provider for WordPress. Today I am going to tell you about KnownHost managed VPS hosting for WordPress. WordPress is the most popular CMS and most of the bloggers use this CMS application to start their blog. But only installing WordPress and starting a blog is not going to be worth. For low traffic WordPress blog shared hosting is the best choice as it is affordable in price. But when your site starts getting a high amount of traffic then you should transfer your site to a hosting server which is capable of taking the high traffic load and also able to give your site faster page loading speed. Managed WordPress hosting on KnownHost VPS platform is one of the best choices when your site needs more resources to handle the load of the high amount of traffic. If you start your WordPress blog on KnownHost managed VPS server then you will be always able to get more resources like RAM, disk space, bandwidth on demand with no downtime. So during this process, your site will not go offline. There will no migration of files, database took place during the process. You will notice if you have already read some of my other WordPress hosting suggestion blog where I have told you that speed is one of the major factors of a site or blog. Again I want to say you yes, obviously it is a major factor and it also increases the user experience and SEO rank. 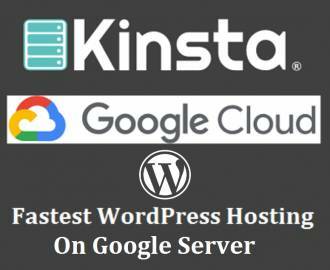 On KnownHost managed WordPress hosting on their VPS server will give your WordPress blog lighting fast speed because of their quality server and isolated resources. Their VPS nodes are divided into isolated containers that each have their own set of memory, disk space and CPU power. If you have any problem or any support needed then the support team of KnownHost is there for you. They are always ready to help you with your site on their VPS server. Support is always expected for a blogger who runs his/her blog on WordPress. Migration of WordPress blog from your old hosting provider to the new one may be looks difficult and full of complexity. If you don’t have enough technical skill then it may look really so complicated for you. But don’t worry in the case of Knownhost. The Knownhost team will migrate your WordPress site from old hosting provider to their managed WordPress VPS hosting server completely free of cost. Also, there will no downtime during the migration process. Your site will always be online. KnownHost is giving you 30 days of money back guarantee if you are a new customer. If you don’t like their servers, you can get back your money in 30 days money back guarantee period. The 30 days will be count after the day you place your order. They are offering 2 different control panels for your Managed VPS. Choose cPanel/WHM or DirectAdmin. but you can also use the command line if you are happy with it. You can order your VPS server for your WordPress site with no control panel and install whatever you prefer. These are some of the great features of KnowHost managed WordPress hosting that I have discussed above. Would you like to give it a try? As they are providing 30 days money back guarantee for new users, there are nothing to worry. You will get your money back. So there are no risk to start with this amazing hosting provider. Also, share your experience if you are already using KnownHost managed WordPress hosting for your WordPress site. If you are now thinking to migrate your existing WordPress blog to KnownHost VPS then you can share your experience after you complete migration and also tell us about the site performance. « How to reduce image size to make your blog or site faster?